Mitt Romney has vowed to restore the US economy by building new homes, for himself. Just a short distance downslope from his new Park City home, Mitt has filed building plans for a new 5900 square foot home in the Salt Lake City suburb of Holladay. Located only 29 miles from the home of Senator Mike Lee, or 20 miles as the vulture capitalist flies, the home will boast a secret room which Mitt will probably configure as a safe room to escape roving mobs with pitchforks. Good job, Mitt. Keep up the good work. 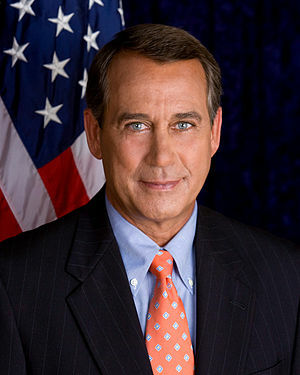 According to John Boehner, the events happening in Washington, DC, now are “not a game.” He’s right about that; they are a tired, old movie that the GOP insist on re-running every few months. President Obama plays the part of Austin Powers while Ted Cruz is Dr. Evil, supported by a cast of villains including Utah’s own Mike Lee as Mini-Me. The ratings of the GOP drop every time the movie is run. Critics in the media divide the blame equally, but voters assign more blame to the GOP than to the Democrats. Just imagine how low the GOP ratings would fall if the media did their job and correctly assigned the blame to the GOP. 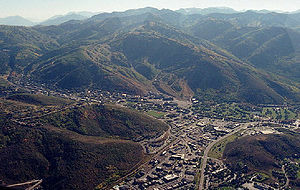 Mitt and Ann Romney recently purchased a new home in Park City, Utah. 8700 square feet, 6 bedrooms, listed at price of $8,900,000.00. That works out to a little over $1,000.00 per square foot while we ordinary Utahns make do in homes that cost around $100.00 per square foot. And only six bedrooms for all those grandchildren, 20+ and counting. Some of them will have to double and quadruple up in the bedrooms with bunk beds. It must be tough to be so wealthy. “Government jobs dip, unemployment ticks up,” screams the headline in today’s local newspaper, The Spectrum. Could it be that the two are connected? Maybe. The jobs decrease may be linked to the sequester said Carrie Mayne of the Utah Department of Workforce Services. Government jobs here in Utah have declined for six straight months. Overall though, Utah has a much lower unemployment rate than much of the country.